The key to reaching your potential is not running hard but learning to run easy. In general, you will get 80 to 90 percent of the way to your genetic limitations by running a lot at an “easy” pace. Easy running causes almost every positive adaptation you want as a runner—stronger muscles, a bigger heart, more capillaries to let that big heart pump blood to those strong muscles. Trail running is an aerobic activity, and to improve your aerobic system, you have to increase the volume of aerobic stress. People that run too hard will rarely be able to run enough to reach their aerobic potential, beset by burnout, injury and weak musculoskeletal and cardiovascular systems that cannot support intense efforts over time. To put it another way, harder running is icing, easy running is the cake. You can serve a bowl of icing to some people, and they might respond well for a bit. But most people get burnt out by all icing, all the time, and even those who enjoy scooping fistfuls of icing into their mouth will probably end up in the hospital as a result. However, one of the hardest things as a runner is finding out what “easy” actually means. 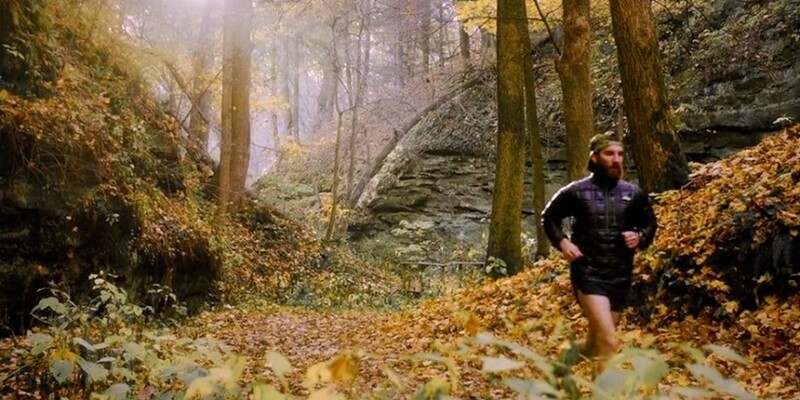 So how can you enjoy lots of fun, healthy trail running while getting faster over time? If you apply a few tips, you can have your cake and eat it too. In December, my wife Megan was coming off six months without much running, plagued by mononucleosis. For a kid, mono might not be a big deal, but for a runner in her 20s, it can have long-term health impacts. There is some evidence it might even be brought on by training too hard. We needed to figure something out so Megan could keep training without risking burnout, and settled on heart-rate training. And now, just three months later, she is stronger and faster than ever. Immediately, we found out that what Megan thought was “easy” was actually bordering on lactate-threshold pace, resulting in too much hard running and not enough recovery. In other words, she was too tough for her own good. After some experimentation, we found that the following formula works well for her: 180 – age. Megan is 25, so we set a hard heart-rate cap of 155 on every single run for more than a month. At first, some of the runs were slower than she had run in her entire life. Over time, as her aerobic system got stronger, the paces started getting faster. Then, we added in some short intervals (less than a minute) to work on running economy. Now, she does four or five “easy” days per week, staying under that same heart-rate cap. On the other two or three days, she has structured workouts or long runs, and leaves the heart-rate monitor at home. By holding herself accountable to heart rate, Megan has had breakthroughs, winning the Way Too Cool 50K and running some of her best workouts ever. You can apply heart-rate monitoring to your running in a similar way without taking the joy out of being on the trails. If you want to do it scientifically, you can get a lactate-threshold test at a lab to figure out your heart-rate zones. But if you’re anything like us, you can do it the old-fashioned way: an educated guess. Subtract your age from 180. Run at that heart rate, and observe how you feel. Does it feel like you could keep up a conversation, as if walking down a hallway with a character from The West Wing? Good. If not, adjust the number down a bit, and try again. Then, run as many miles as you can per week under that heart rate, with one to three days where you have strap-free fun with harder workouts. Heart-rate monitors are the best option for long-term protection of your body. However, some people don’t like the way they feel, or think they are unnatural. For those people, it’s a necessity to balance good decision-making with a refined understanding of their bodies. To put it another way, heart-rate monitors are like condoms. They are a good option, but not the only way. Run to build aerobic capacity in the following instances: (1) every run during an early-season base period lasting at least a few weeks; (2) most long runs all season; (3) warm-ups and cool-downs from workouts; and (4) most other running, except when you feel tired or are doing a specific workout. On these runs, easy is not a speed, but a state of mind. You want no strain or stress. Sometimes, that might be very slow. Other times, it might start slow and end faster when you feel effortless and smooth. On those rare perfect days, easy might even be kind of fast the entire time. Easy runs to build aerobic capacity are about learning to relax while running at a pace where you can talk comfortably. Always be careful not to get an ego about running fast on easy days just because you can. As a general guideline, you can use your 5K race pace plus two minutes. But always listen to your body. Sometimes, though, you just need to take a chill pill. My rule is, run easy by feel when you want to run. When it is a chore to get out the door, make your easy days deliberately slow. You should always have these recovery runs after hard races and workouts, and before them as well if you feel at all run-down. Generally, no pace is too slow for recovery. I sometimes run twice as slow as my 5K race pace on these days (my athletes know them as “shuffles”). Slow runs have some aerobic benefits, but mainly increase blood flow to accelerate adaption to previous running. Learn to run easy and you’ll reach your potential. Fail to understand easy running, and you’ll end up belly-up by the side of the trail, moaning like you’ve just eaten a bowl of icing. David Roche is a two-time USATF trail national champion, the 2014 U.S. Sub-Ultra Trail Runner of the Year and a member of Nike Trail Elite and Team Clif Bar. He works with runners of all abilities through his coaching service, Some Work, All Play. Follow David’s daily training on Strava here, and follow him on Twitter here.